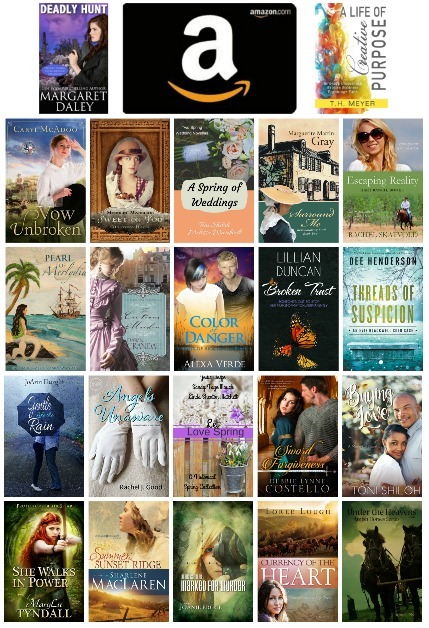 I’m excited to be participating in a multi-author giveaway just for you! The grand prize is a $50 Amazon gift card and first prize is more than 20 books, mostly suspense and mystery, including Broken Trust by me! Here’s a picture of the covers. They look like great books to read, don’t you think? Don’t miss you chance to win! ENTER NOW! MORE GREAT NEWS! Even if you don’t win the contest, you can still get a FREE book from me simply by following this blog! So sign up to follow this blog before you leave the page then be sure to send me your email address by using the contact form below. Thanks! And don’t forget to ENTER NOW!